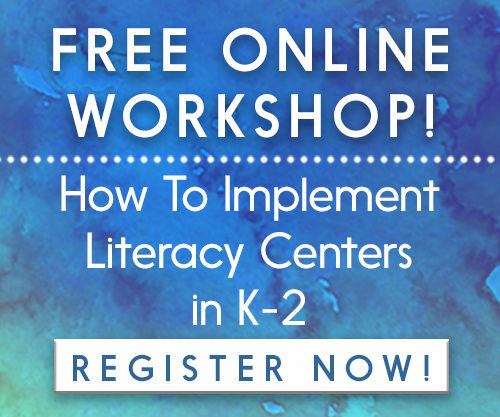 Looking for some great apps for literacy centers? In this post, I’ll share 10 apps that I love! These apps are great for kindergarten, first, or second grade, but they can probably be used at other grade levels too. You’ll notice that I’ve chosen apps that are not specific to a certain skill or skill set. There are tons of great phonics, sight words, and handwriting apps out there, for sure. But I decided to focus on these 10 apps because you can use them for a variety of purposes! Also, I want to mention that, at the time I’m writing this, I use iPads with my students. The apps listed here are available for iPads, but there may be other versions for different devices. 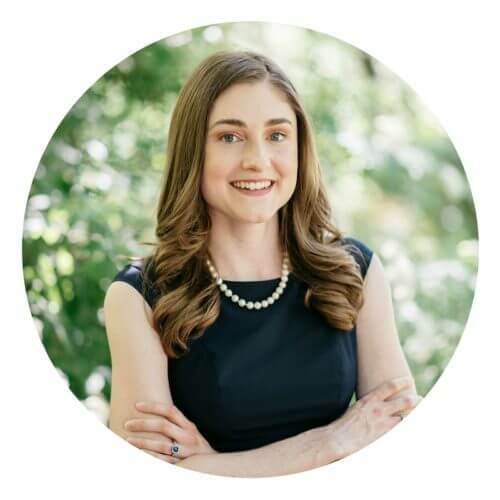 If you have questions about pricing, how an app works, or a problem you’re having with the app, please click on the links I’ve provided to learn more about them. 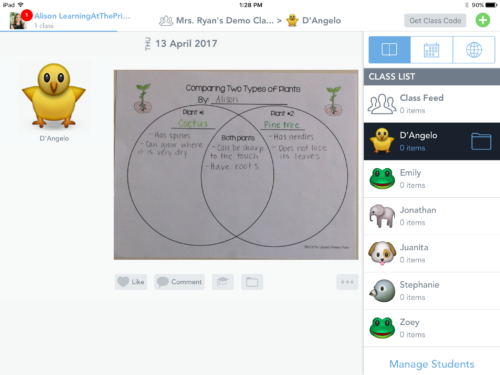 Click HERE to read more about Seesaw. Click HERE to read more about Book Creator. Want to get your kids to love retelling practice? Sock Puppets is the app for you! 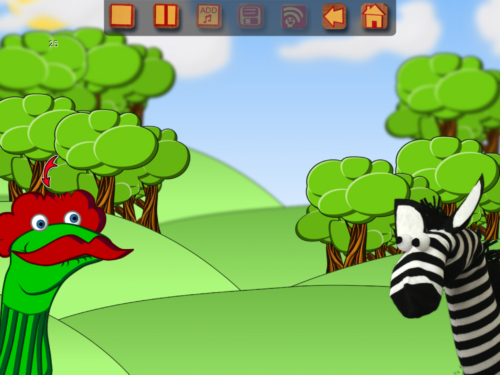 This app allows students to record their voices and have digital sock puppets act out their stories. Such a fun independent or partner reading activity! Click HERE to read more about Sock Puppets. PowerPoint and Keynote on the iPad are more kid-friendly than they are on a desktop or laptop computer (in my opinion). Kids can create presentations about topics they read about. 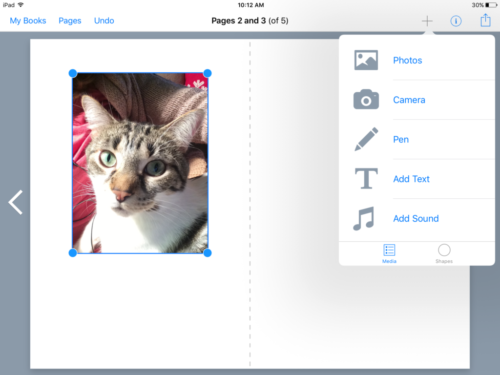 Like Book Creator, they can insert photos and add other media. I love using these apps during a nonfiction unit as an option for kids to present their information to an audience! 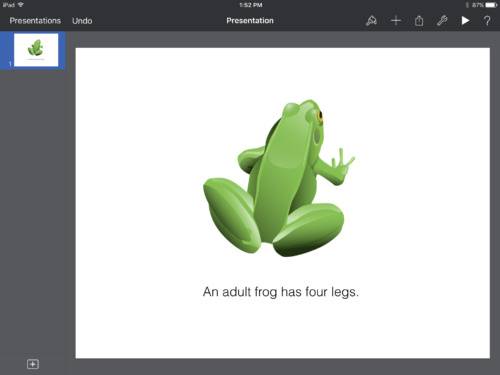 Click HERE to read more about PowerPoint or HERE to read more about Keynote. I’ve written about this app several times before — because I LOVE it!! 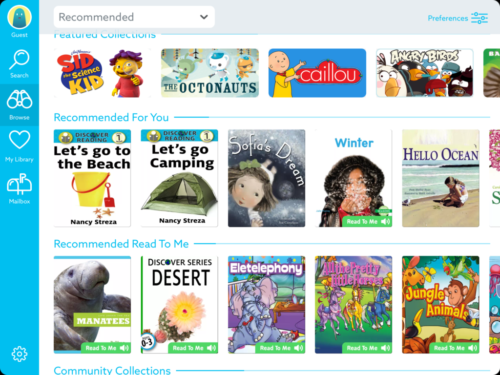 A subscription is free for educators, and it gives you access to tons of great children’s books. Kids can read and/or listen to the books using the app. You can even assign them texts and track their progress! Click HERE to read more about Epic. This is a great, kid-friendly app that students can use to share their learning through videos. They can record their voices and add text and images. Click HERE to read more about Shadow Puppet. 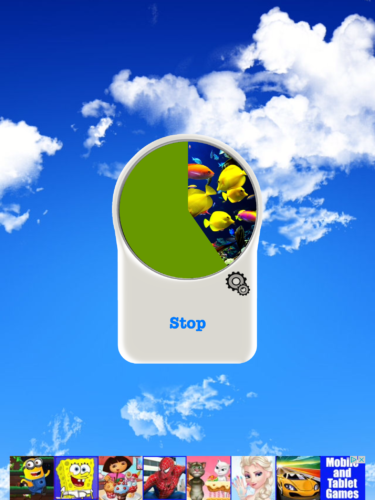 This one is a little bit different from the others…it’s a visual timer! Sure, many iPads come with timer apps, or you can easily find them in the app store. But I like this one because it slowly reveals a picture. Our little guys don’t always have a sense of how long five minutes is, even if they see the numbers counting down. This app makes it very clear! You might use this app to show kids how long they will be in a center, how long they should do a particular activity in a center, or to have them “race against the clock” while reading a passage or words. Click HERE to read more about Children’s Countdown. I started out my teaching career in Pre-K, so I am very familiar with storytelling and retelling using felt boards! The only problem is that it takes FOREVER to make felt pieces. Or if you buy them, they can be super expensive! This app provides a great, low-cost alternative. Kids can move felt pieces to retell or listen to nursery rhymes and songs. It’s probably best for preschool, kindergarten, or first grade. Click HERE to read more about the Felt Board app. 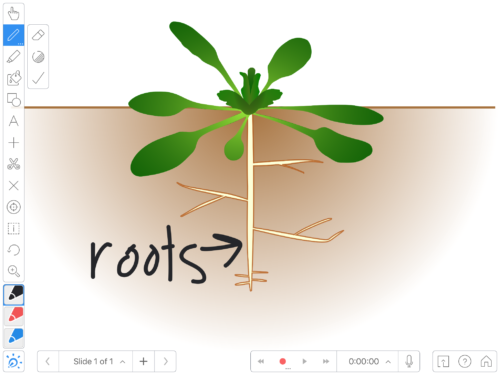 This app provides a simple, kid-friendly way for students to create webs and organizers. They can use Popplet to plan out a piece of writing, take notes while reading a text, brainstorm ideas, and more. 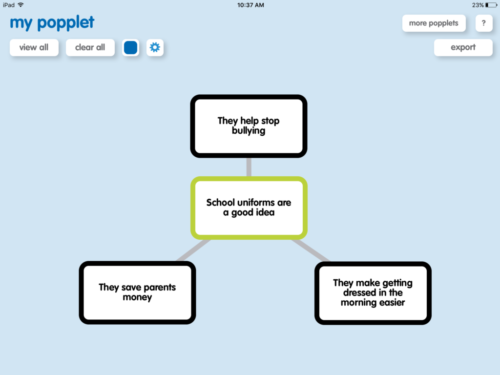 Click HERE to read more about Popplet. Last but not least, we have Explain Everything! There is soooo much you can do with this app. You can have kids read, highlight, and write on poems. You can have students explain concepts that they’ve learned through images and voice recordings. 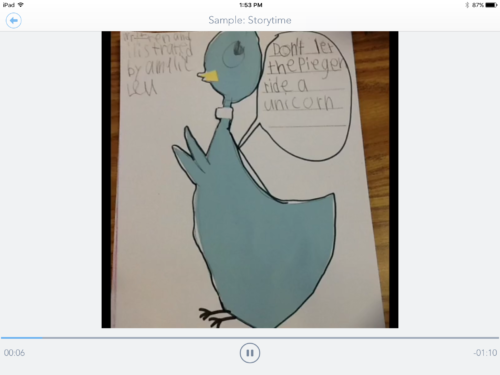 You can send students projects or templates and then have them add images, text, and voice recordings. It’s a super versatile app! Click HERE to read more about Explain Everything. I hope you found at least one new app to try! Do you have any other great apps to add to this list? Please leave a comment below! 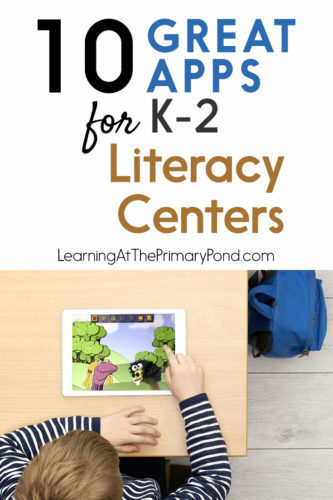 The apps you shared in “10 Great Apps for Literacy Centers,” are all so useful. I especially liked the ones that enable the students to record their own voices, add photos/media and add text. I have been teaching for many years and all of the resources that are available now really amaze me.